Hailing from the same home as Extol, Norway's Lengsel manage to make Extol sound slow. (Now that's just sick.) Actually Lengsel guitarist Tor Magne S. Glidje also has been touring with Extol over the past few year and played bass on Extol's last cd. 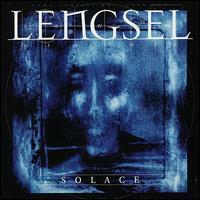 Lengsel are Norwegian black metal and are one of the best bands in the genre. Can't say that I am a huge fan of this style, but I can appreciate the fact that this band has more going for them than just an image and corpse paint.